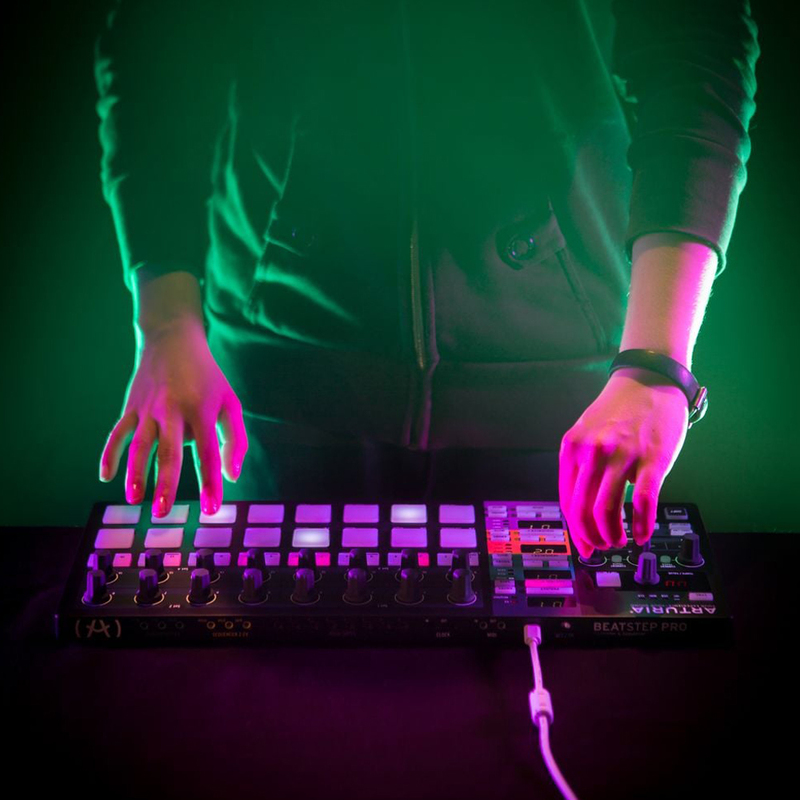 With BeatStep Pro Black you are master of the performance, taking full control of virtual devices, analog and digital instruments, drum machines and iPad apps all at once. 16 Projects are instantly accessible, each of which contains 16 sequences per melodic sequencer and 16 patterns for the drum sequencer. That’s over 4000 possible combinations per Project! You can also take advantage of your favorite drum sounds using MIDI or the eight drum gate outputs. 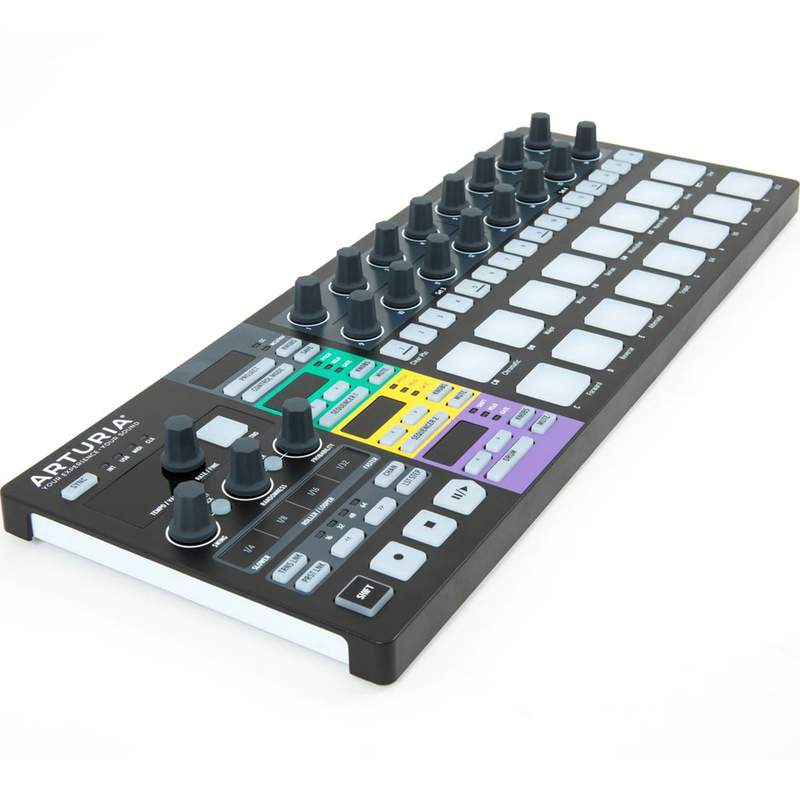 Sync a vintage drum machine, or trigger its sounds with the patterns you create with the BeatStep Pro! And all the while the Beatstep Pro will keep the system in perfect sync. 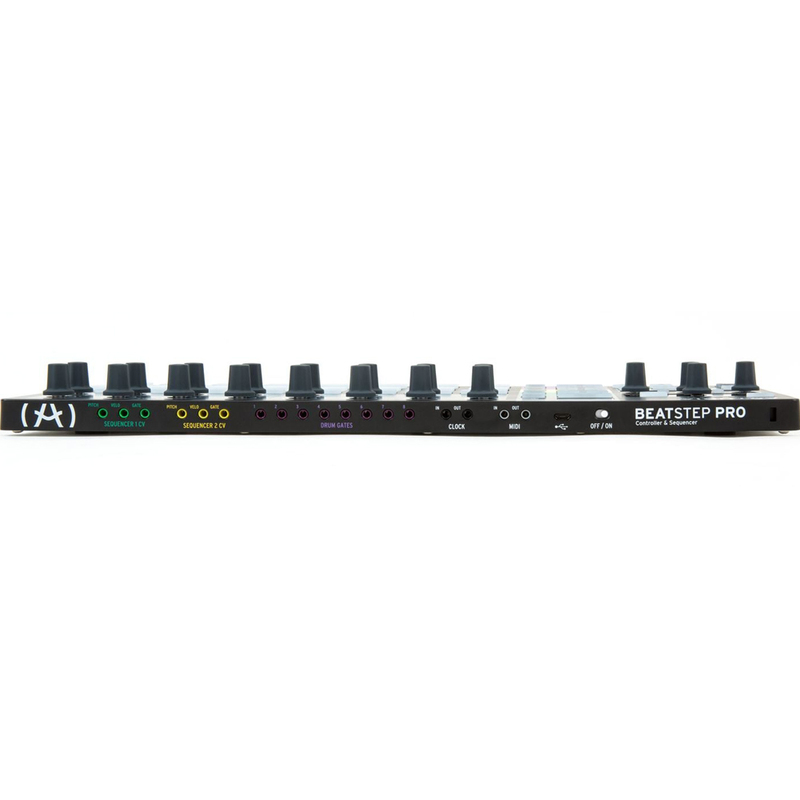 BeatStep Pro was born for the stage. 3 integrated sequencers and 16 Projects, each loaded with 16 sequences per sequencer, means you can bring thousands of ideas to the show. Perform them as planned or make massive modifications on the spur of the moment, changing sequences and Projects with the system running; everything will stay in sync thanks to the rock-solid analog and MIDI clock i/o connections. 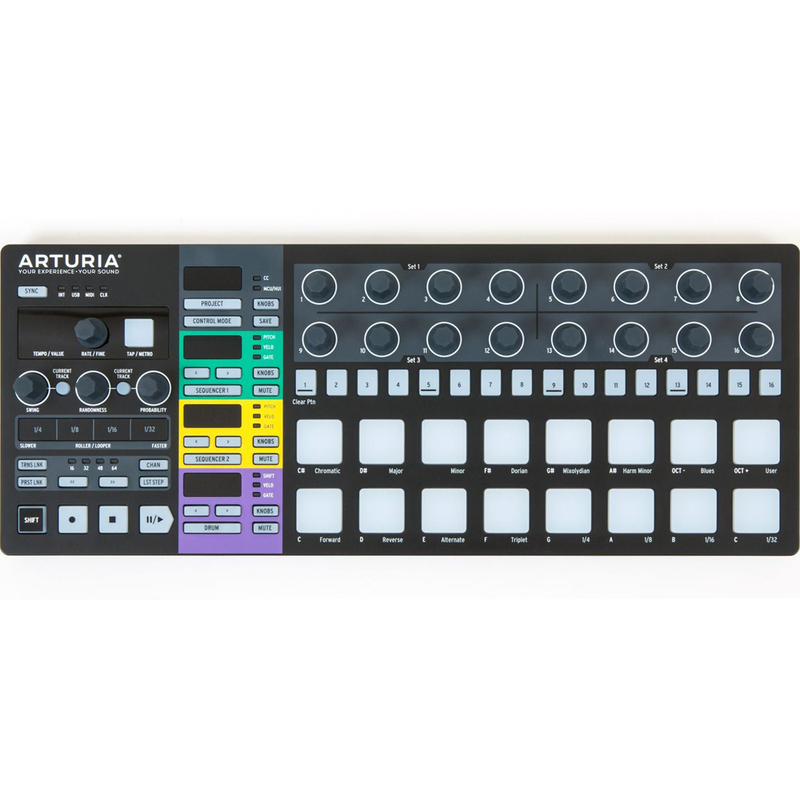 In addition to the two melodic sequencers, BeatStep Pro features a 16-track drum sequencer.